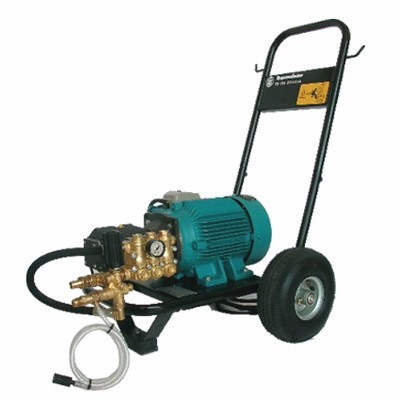 MAQUINA DE MOTOR ELECTRICO DE ALTA EFICIENCIA PARA, PRESION 1,500 PSI, CAUDAL 7.6 L.P.M. MOTOR 3.0 HP 220/440 VOLTS, TRIFASICO. INCLUYE:BOMBA 3 PISTONES, 8 MTS DE MANGUERA DE 1/4¿ R/1, BOQUILLA VARIABLE,PISTOLA,LANZA DE 90 CMS, INTERRUPTOR DE ENCENDIDO, MANOMETRO, 4 MTS DE CABLE ELECTRICO.